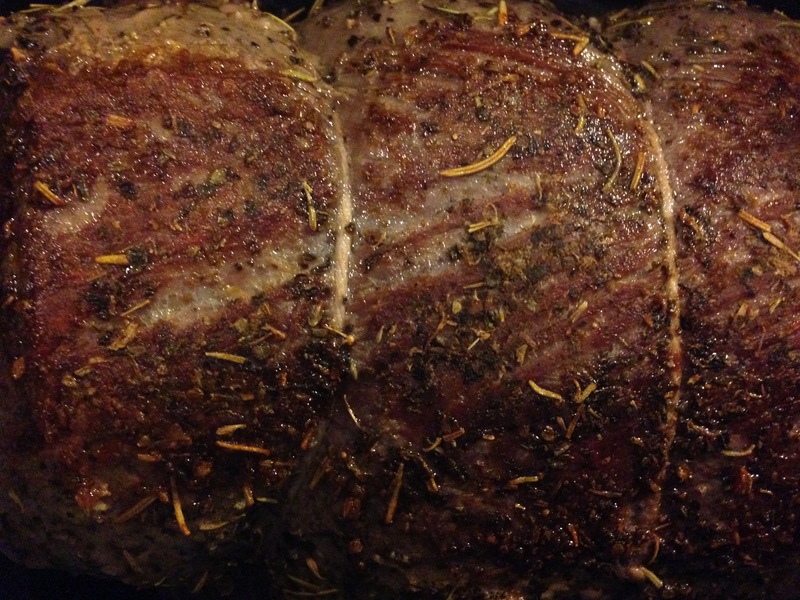 Rub a lean and tied roast with salt and pepper, then with dried herb blend. Brown on all sides until medium brown, about the color of light coffee. With browned sirloin in the same pot, place red potatoes around the sirloin first. Add as many as you want but not so much to crowd out the other ingredients in the pot. 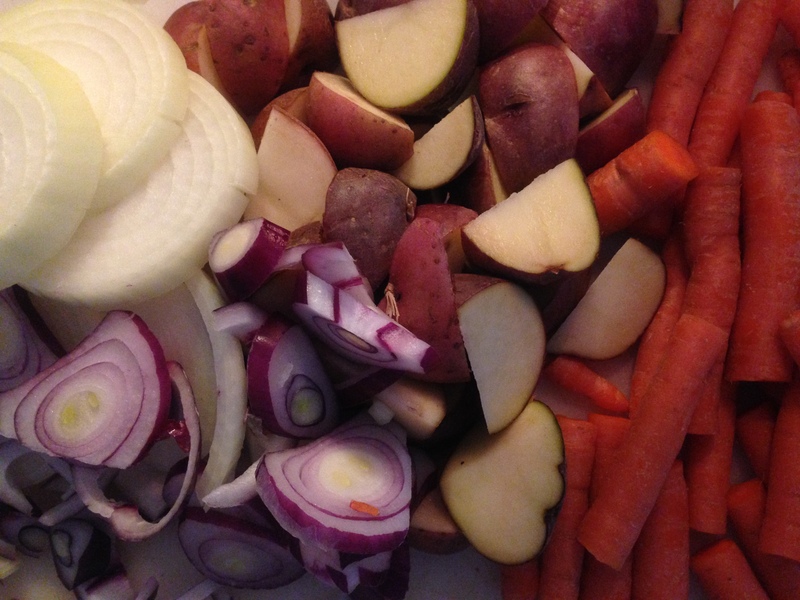 Prep all your veggies before so you know what will fit with the size of your pot, roast and other ingredients. Slice carrots into sticks (not rounds) and place over potatoes. 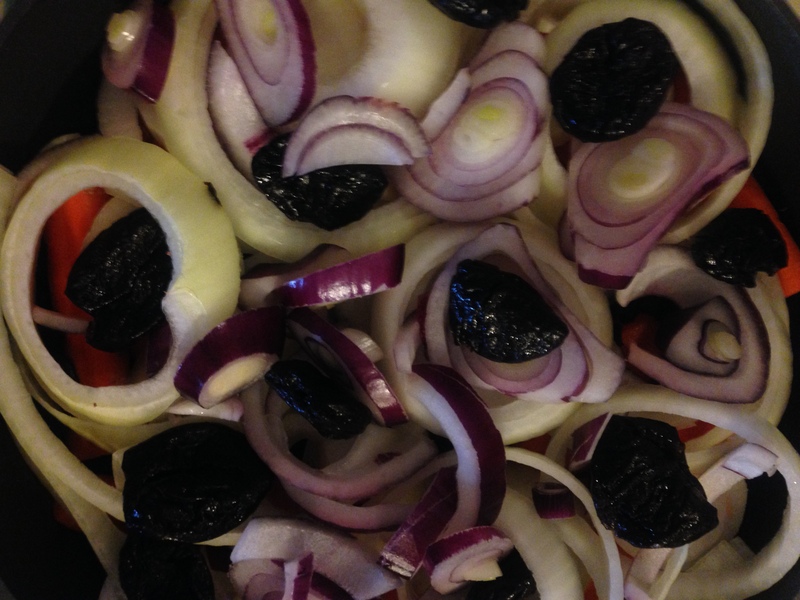 Put chopped dried prunes over carrots and sprinkle with a few dashes of salt. Slice both onions into 1” slabs and separate rings, then place them over the carrots. Add whole prunes and sprinkle with a few dashes of salt. 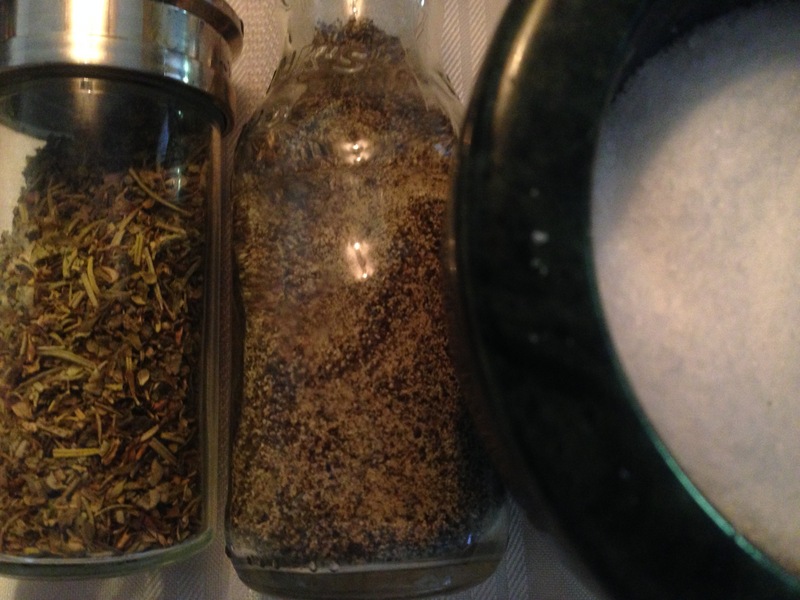 You are basically salting each layer very lightly to ensure that each has a little salt to help release flavors and meld them together. Pour the Worcestershire sauce evenly over the top. Cover. Cook on low 1 ½ hours. 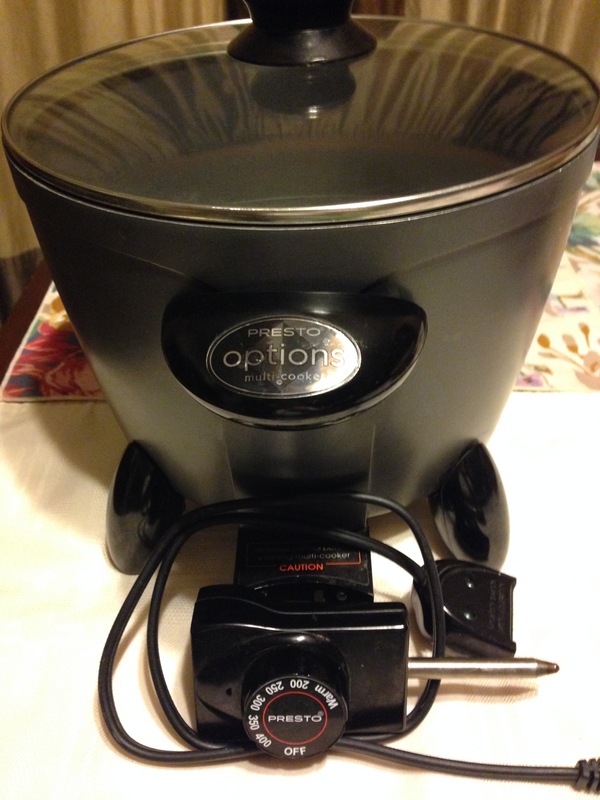 I used an electric counter top cooker. It both browns and slow cooks. If you use a covered casserole dish and cook it in the oven make sure to pour the browning oil on the bottom of the dish before adding the rest of the ingredients. Crock pots are welcome; simply adjust the timing of the veggies to the doneness of the beef. Let it rest before serving. Substitute Worcestershire sauce with beef broth, adding ¼ tsp of vinegar and a pinch of sugar. I like your recipe. I had not thought about using my dried fruit on a roast. 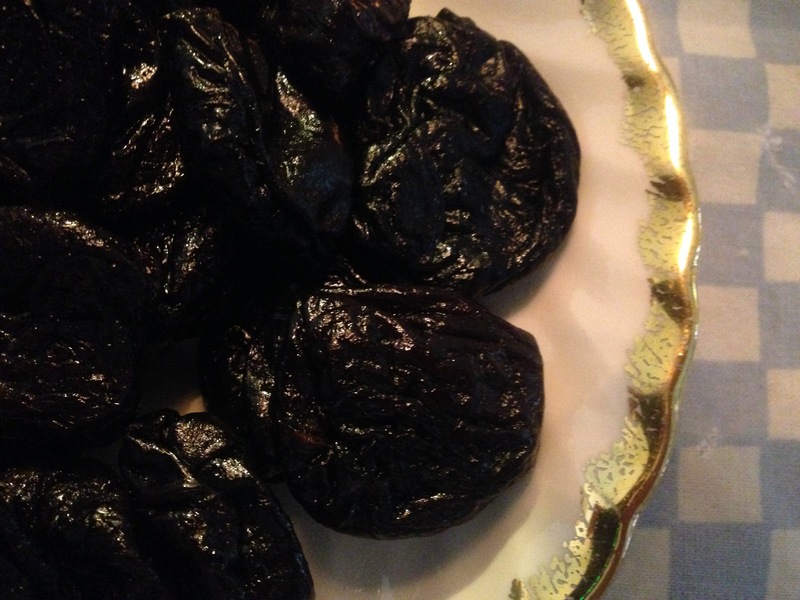 I don’t like prunes but tried with dried apricots and it was great!! I’ll have to try it with apricot! I always think about chicken and turkey with it. What dried fruit do you like best on pork? How about your famous apple butter? We had that with sausage and it was sooooo good!